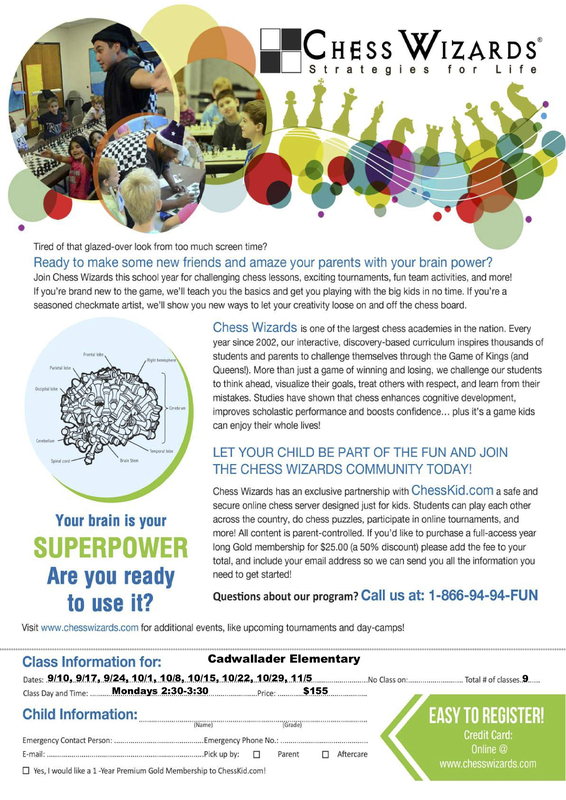 Join Chess Wizards this school year for challenging chess lessons, exciting tournaments, fun team activities, and more! If you're brand new to the game, we'll teach you the basics and get you playing with the big kids in no time. If you're a seasoned checkmate artist, we'll show you new ways to let your creativity loose on and off the chess board.